Becoming a shower over bath girl with Lush? I’m a bath girl through and through. I will always choose a bath over a shower if given the choice. I mean, why stand in a shower when you can lay and do absolutely nothing in a bath for an hour?! Recently the lovelies at Lush offered to send me over some shower goodies and I’m keen to see if they can try and change my opinions! The first product I received was the It’s Raining Men Shower Gel. The only shower gel from Lush I’ve tried previously is it’s oh-so-famous Snow Fairy. Possibly my favourite scent ever, I questioned why I’d never tried any other of their gels, especially with Snow Fairy only being available once a year! The main ingredient in this is honey, but also has a mix of rosehip, tiger lily and lotus flower infused in it. This smells absolutely delicious and for me is the perfect shower gel for those nasty morning showers! The next and definitely most exciting product was the Deep Sleep Shower Jelly. A jelly that you use in the shower? I’m listening. The predominant scent of this is lavender, which is expected considering it’s a shower jelly which is meant to relax you and help you sleep. It also contains fresh orange juice and chamomile oil, more soothing ingredients. This left my skin feeling so silky soft. In terms of helping me sleep, I usually sleep like a baby anyway, but this definitely left me feeling relaxed. I’d be keen to give it a go when I’m feeling especially stressed! Last and not least was the Scrubee Body Butter. I had no idea what this was when I first got it but he sure is a cute little guy! Full of cocoa butter and more honey, it’s a body butter bar that you lather up and use in the shower for some gentle exfoliation. I’ll be honest, I barely ever exfoliate. I’ve probably done it once in the last month, but this little guy has got me back into an exfoliating routine for sure. It’s so gentle and has left my skin so smooth, it’s well worth taking an extra few minutes in the shower to use. It’s also left me not needing to apply a moisturiser after showering, (not that I do that very often either, oops) so anything that saves time I’m on board with! The final verdict? 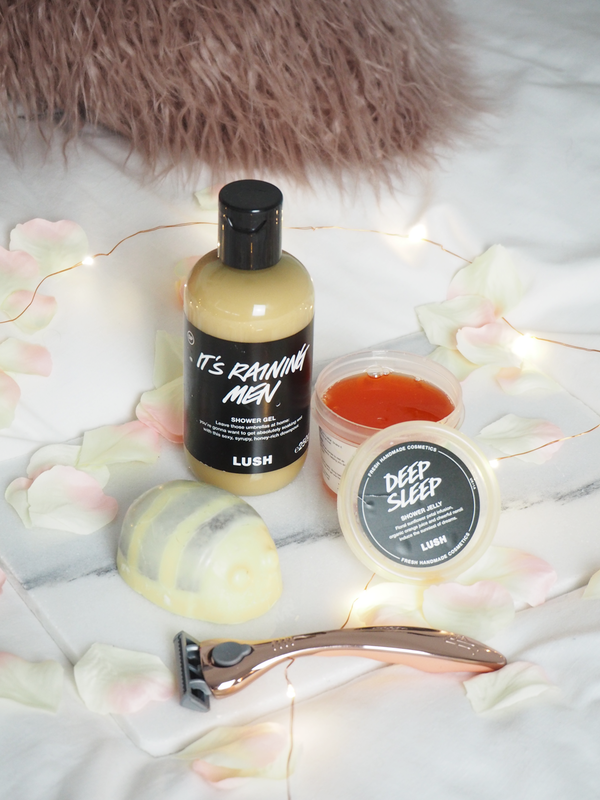 I think I’ll always be a bath girl, but some Lush goodies certainly make those showers a little more luxurious! Are you a bath or shower girl? 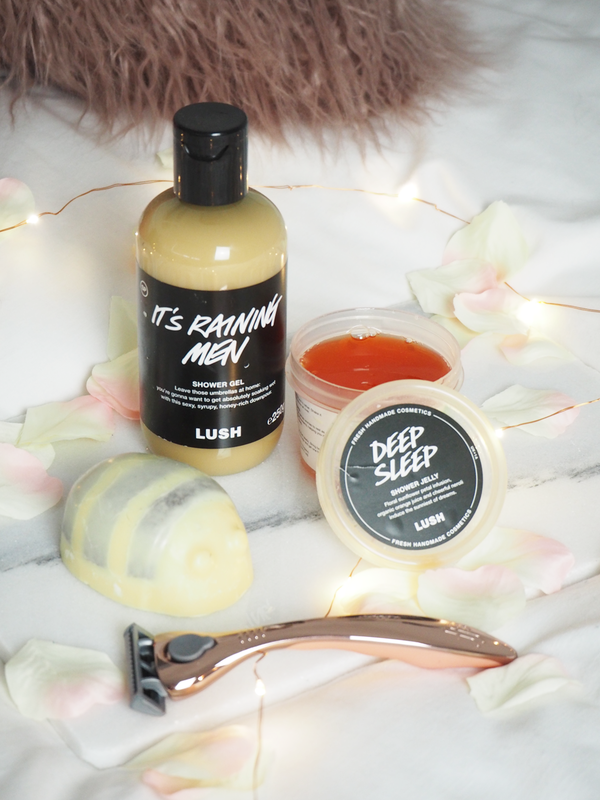 What are your favourite goodies from Lush?